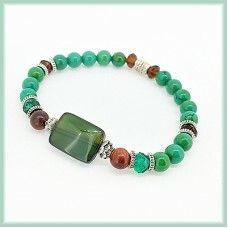 GREEN AGATE (Main Bead) - STRENGTH & COURAGE Restoring Vitality & stimulating creativity. Aiding will power. 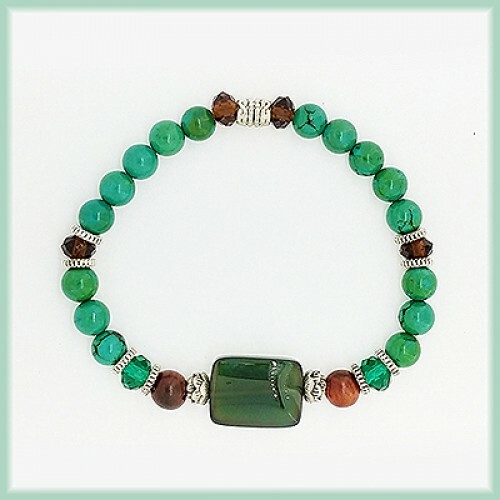 Boost one's confidence & protection against external influence & pollution. Enhance one's luck & assist in speech. Possess it's own magical power in eliminating negative forces & enhance personal safety. It helps in increasing confidence level & courage.